As reported earlier today by The Herald-Mail, the Washington County Judicial Nominating Commission met yesterday to interview the seven applicants who applied to fill Donald E. Beachley’s seat on the Washington County Circuit Court. Earlier this year, Beachley was appointed by Gov. Larry Hogan to serve on the Maryland Court of Special Appeals. Of the all-male applicant pool, only four candidates – G. Clair Baker Jr., Mark Kenneth Boyer, Eric Alan Reed and Andrew Fisher Wilkinson – were recommended to the governor by the county’s judicial nominating commission. Delegate Brett Wilson, a Republican who represents the City of Hagerstown in Annapolis, was passed over by the commission – this time. 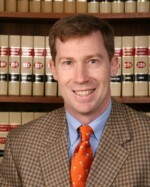 Objectively speaking, Wilson’s resume is the most impressive among the seven applicants who applied- not only for his vast experience as an assistant district attorney but also for his robust legislative experience, including combatting the sweeping heroin epidemic that perversely affects many Maryland communities as well as his work across the proverbial political aisle to reform Maryland’s criminal justice system. Wilson may have been passed over by Washington County’s local judicial commission this time, however; I expect the popular state delegate, who is currently serving his first term in the House of Delegates, to be the top pick by the commission and chosen by Gov. Hogan to replace Judge Kenneth Long, Jr. when mandatory age limits force him to retire from the Washington County Circuit Court next May. Of the candidates recommend by the judicial panel, I would emphatically caution the governor from choosing one candidate in particular – Mark Boyer. 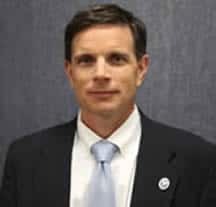 Boyer, a prosaic Washington County attorney, is known to be an extreme right-wing Republican partisan, active and ingratiated in the Washington County Republican establishment. Some of Boyer’s extremist positions would likely cause the governor’s office to think twice before appointing a hard-charged right-wing ideologue to the bench. I would hope that the most qualified candidate is chosen for their experience, not for their partisan leanings or Republican orthodoxy. I’ll keep you abreast of the details as this story evolves.